I'm Here. I'm Queer. What the Hell do I read? 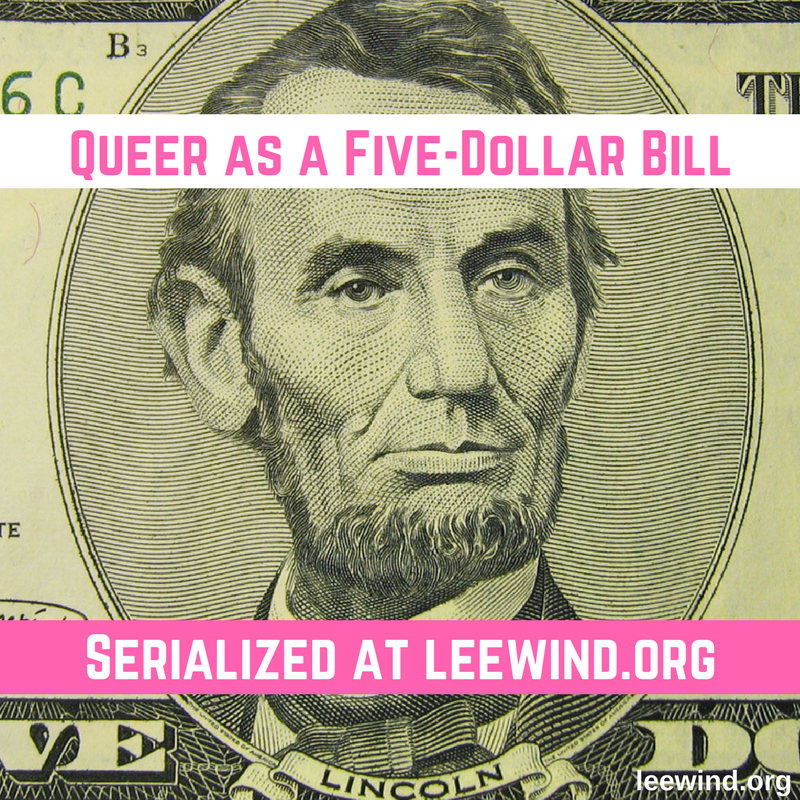 : It's Launch Day for "Queer as a Five-Dollar Bill!" 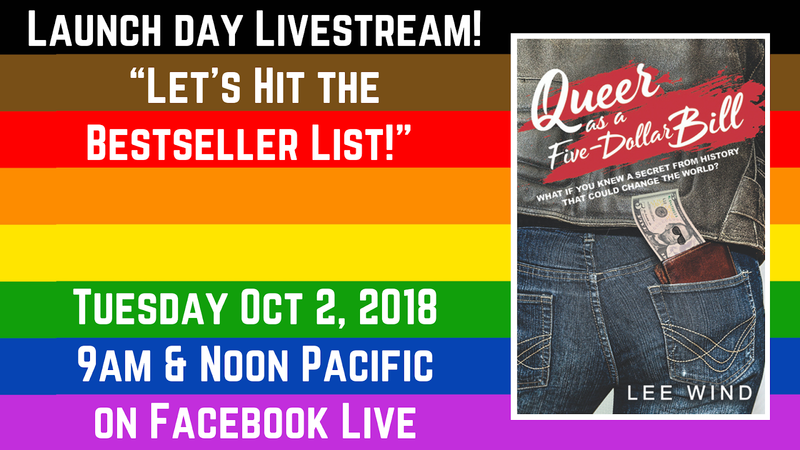 It's Launch Day for "Queer as a Five-Dollar Bill!" In those two hours, with an eBook price drop (from $6.99 down to $2.99) and a super-special offer to get a FREE AUDIOBOOK of the novel, we’ll see if we can get Queer as a Five-Dollar Bill to hit the Amazon eBook bestseller list! 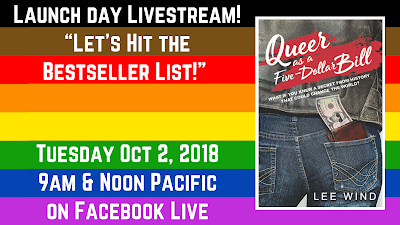 I’ll answer questions, and share some cool things that have been happening with the book (including the in-production audiobook), and we’ll all cheer as we join together to empower LGBTQ and Allied Teens! 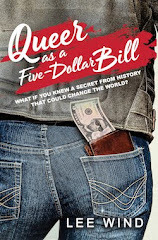 Oh, and Queer as a Five-Dollar Bill is officially available TODAY, everywhere books are sold! Yay! take a screen shot of your receipt/transaction, and facebook message, twitter message, or email me at leewind (at) roadrunner (dot) com. Make sure to include your email so I can send you the digital audiobook files in November! Here's the first virtual launch party recording! And here's the second virtual launch party recording! 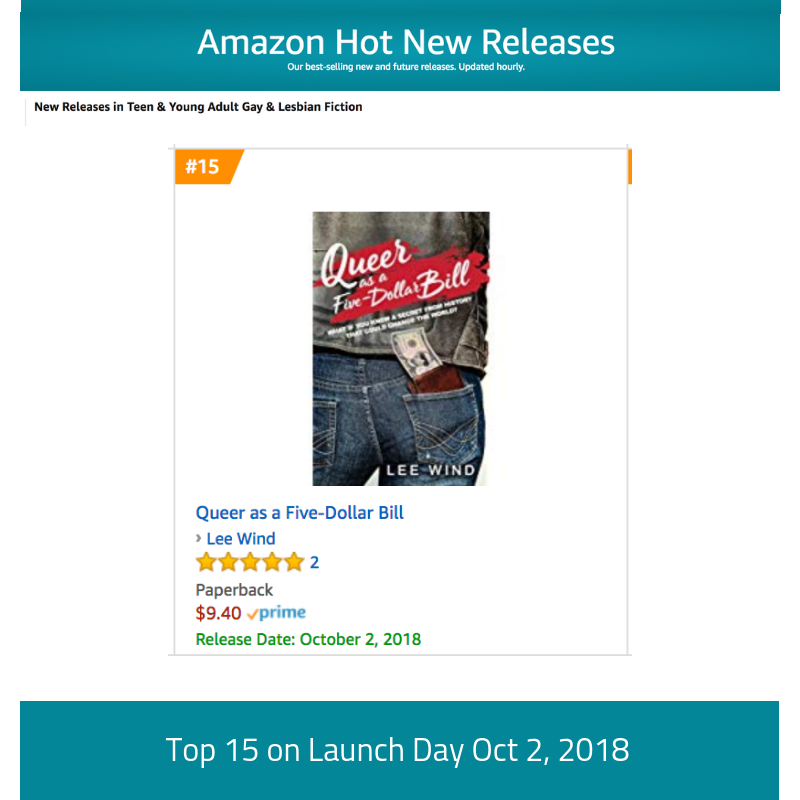 And perhaps most amazing of all, on launch day (Oct 2, 2018) "Queer as a Five-Dollar Bill" hit the top 15 of Amazon's New Releases in Teen & YA Gay & Lesbian Fiction!